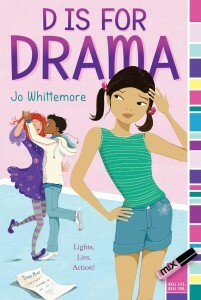 Our interview this month is with Austin SCBWI member Jo Whittemore. Jo wears many hats, from writer to data analyst to starship pilot, and we are so grateful she had the time to put on her interviewee hat and share with us today. 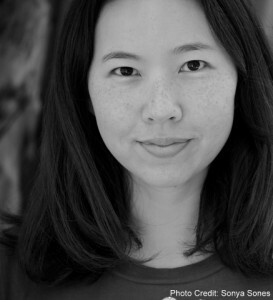 She is also an excellent teacher, and will be hosting a Query and Synopsis workshop on May 20th, from 7-9PM. Her humor is evident whether in person or in her writing, or even in a member interview! Welcome Jo, we're so glad you're here. I actually grew up in two different places: California and Texas, but I wouldn't say places have shaped my work so much as life experiences in general. This is an incredibly boring answer. 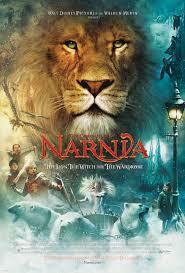 Please pretend I said Narnia. I've always loved writing and crafting my own stories. For Father's Day one year, I wrote a book for my dad called Race Car Willie, officially bound with staples and hand-printed on wide-ruled notebook paper. In 2nd grade I also started a story about a girl named Cassie. The story opened with an elephant running past the window of her bedroom. Another kid told me Cassie was a dumb name (my first critic!) so I abandoned the idea. I've since developed a thicker skin. Now if someone tells me a name is dumb, I say, "YOUR name is dumb!" I never realized being an author was within reach of everyday people like myself until I heard one of my favorite authors speak. He'd been a lawyer before he was an author, and he'd write in the evenings when he was done at work for the day. That's when I truly started pursuing that dream. That I eat a lot of sugar. They'd also see me wear a stack of 15+ metaphorical hats. I'm a daughter, granddaughter, sister, aunt, niece, cousin, girlfriend, best friend, author, instructor, critiquer, presenter, data analyst, office manager, inventory specialist, marketing rep, and starship pilot (It's what I tell myself to make traffic more tolerable and interesting. It also allows me to mentally set blasters to "obliterate" when someone cuts me off). In every way possible. Every emotion, every sensory experience can be put into your work. I've given this example before, but I'll give it again. You may not know what the heat of a dragon's breath feels like, but you've felt a hot stove before. You may not have been stabbed with an ice sword, but you've accidentally swallowed an ice cube (Or at least, I have. Kudos to you if you've avoided this folly). Solving problems in real life can also help you think outside the box for your characters. Sometimes the answer to a problem is something that's outside your current realm of knowledge. Then you have a new life experience, and WHAM! That's why I always encourage people to live life and try new things. When I was a wee Jo, the thought of traveling by myself terrified me. Then I got a job where it was a necessity and I had to learn how to navigate and communicate on my own. I started making friends in every city I'd visit. The world seems much smaller and cozier that way. I'm never too far from home, you know? Now if there's a chance to travel, I jump at it. I'm also extremely proud that I can maintain a day job and a prolific writing career at the same time. I think one of my biggest accomplishments was auditioning for the book series I'm currently writing and winning the job. Also, and I know it's silly, but buying a house AND doing my own interior decorating. I can hang blinds like nobody's business. That there are an infinite number of ways to tell the same story. Just when you think you've heard every iteration of a fairy tale, someone comes along and puts a new twist on it. Joy. My purpose in life is to comfort and cheer people, and one of the best ways I can think to do that is through laughter. 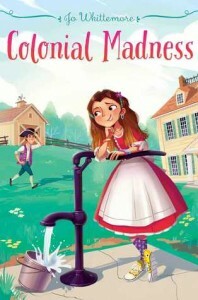 Jo Whittemore is the author of the tween humor novels Colonial Madness, Front Page Face-Off, Odd Girl In, D is for Drama, and the upcoming Confidentially Yours series. She also penned The Silverskin Legacy fantasy trilogy. Jo is a member of the SCBWI (Society of Children’s Book Writers and Illustrators) and The Texas Sweethearts & Scoundrels. When she isn't writing, Jo spends her time with family and friends in Austin, dreaming of the day she can afford a chocolate house where she will live with the Tenth Doctor.